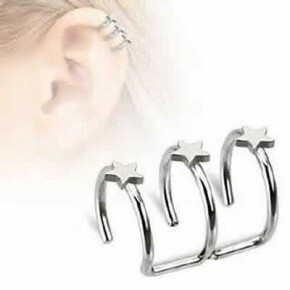 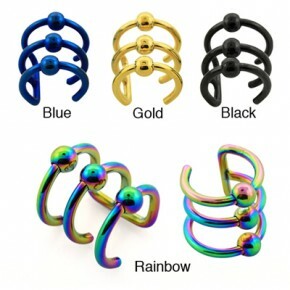 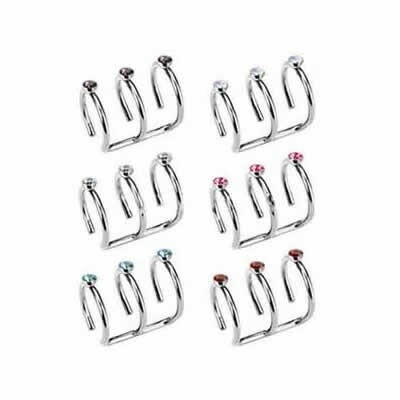 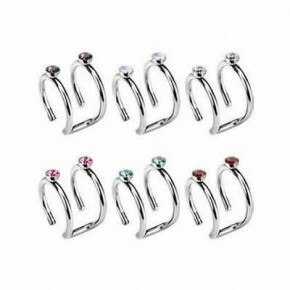 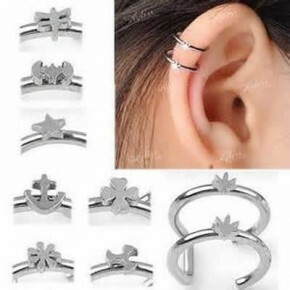 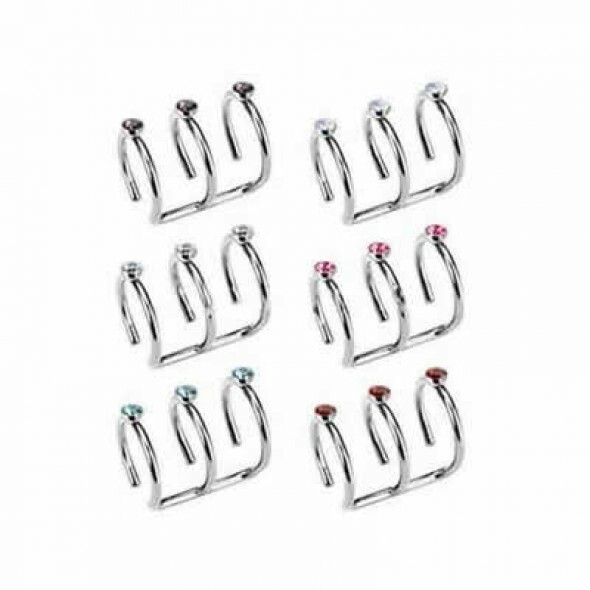 Great quality high polish surgical steel triple closure fake cartilage/tragus ring body jewelry with gem. 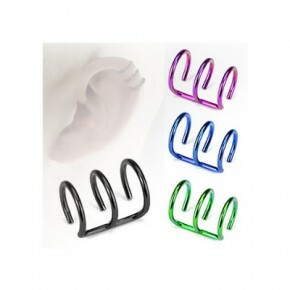 Gauge/thickness available in 18ga and 16ga, length in 8mm for customer's choice. 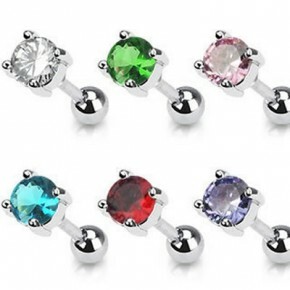 Choose crystal color to make your custom orders.